Delta presented smart and integrated energy-saving solutions for electric vehicle (EV) charging at eMove360 Europe. Key highlights from its portfolio included the new DC 100kW EV charger and the 150kW DC Ultra-Fast EV Charger. 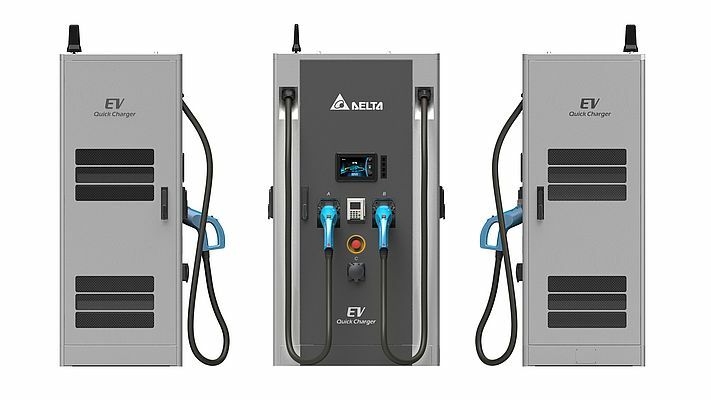 The new DC 100kW EV charger is equipped with two DC charging guns and one AC outlet, thus, being capable of charging three EVs at the same time. The 150kW DC Ultra-Fast EV charger is a system that offers a modular, scalable power architecture and the ability to charge four EVs simultaneously and can provide 100km range within fifteen minutes of charging. It boasts six charging guns that are compatible for two DC and two AC charges at the same time. Also shown was the new 100kW Power Conditioning System (PCS), which is a flexible bi-directional conversion system that converts power between energy storage and the electricity grid, along with energy and grid power quality management features.